Posted on 21 August, 2014 at 10:00 am. Fall 2014 makeup trends range from bold to subtle. After the makeup trends are revealed at New York Fashion Week, we share the trends with our clients and invite them to come by our spa to let us help them determine the perfect makeup techniques and colors for them. It’s important to remember that all these make trends are not the best choice for everyone. It’s best to get the advice of a professional makeup artist before trying them. Glamorized eyes will be a huge fashion trend for Fall 2014. Shimmery silver and gun metal eyeshadows will be used on the eyelids and along the corners of the eyes as well as the lower lash line. Many makeup artists will add clear gloss over eyeshadow for extra shine. Emerald and sapphire jewel tones, burgundy and smoky brown eyeshadows will also be very popular. These shades are also applied along the corners of the eyes and along the lower lash line. The basic black cat eye design will still be trendy, but other techniques include diffused, double-lined and vivid colors. Strong, full, structured eyebrows will be another fall make up trend. Minimal makeup will be applied to shift focus to eyebrows. Lip trends will range from bare minimum to bold reds, berries, and burgundy. 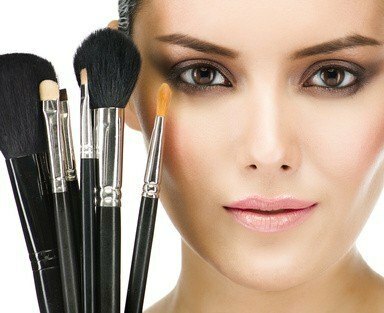 Many makeup artists will use minimal makeup to achieve a natural, clean, neutral look. This makeup style shifts focus to eyebrows and dramatic, colorful eyes. Brenda Cureton-Smith is a professional makeup artist and owner of Great Skin Spa & Skincare in Arlington, TX, which provides a variety of makeup services for women and teens, as well as bridal makeup services. The spa also offers a a wide array of skincare services, including spa facials, specialty facials, acne treatments, anti-aging treatments, chemical peels, microdermabrasion, advanced LED treatments, non-surgical micro full face lift and much more.